Through our employer partners, we are able to offer our students off site visits that reflect the high value we place upon the contribution they make to enabling learning and developing the potential of young people. By showing our students real world examples of the environments that they could be part of, we aim to engaged and inspired their future career plans. 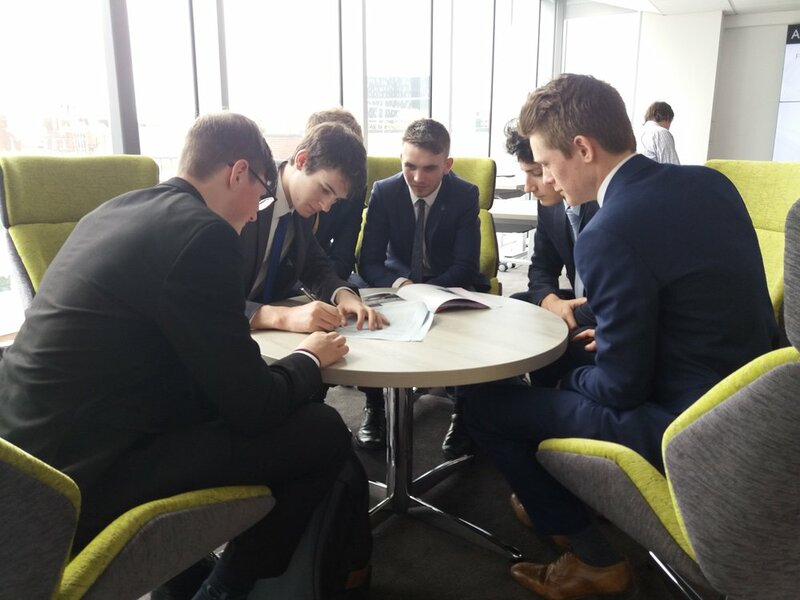 Our Year 12 Extended Diploma students were co-hosted by our Employer Partners BAE and the Royal Navy when they visited Portsmouth Naval Base in December 2018. The aim of the visit was to learn more about the engineering support provided to the Royal Navy by showcasing the support being provided to HMS Chiddingfold, the first Hunt Class Minehunter to enter the facility in 18 months. Students got to hear presentations from RN and BAE staff and see HMS Chiddingfold in the Ship Hall.